TROY, NY – Mayor Patrick Madden today announced the Frear Park Municipal Golf Course will officially reopen to the public on Tuesday, April 16th. Longtime season pass holder and Troy resident Jack Stapleton will participate in a special tee off ceremony at 9:00 am to mark the beginning of Frear Park’s 88th season of golf in the Collar City. Season passes are available for purchase at the Pro Shop, located at 2701 Lavin Ct., from Monday through Friday, 9:00am – 5:00pm, and Saturdays, 9:00am – 3:00pm. Discounted rates are available for Troy residents with a resident recreational ID card. Contact the Frear Park Pro Shop at (518) 270-4553, Parks & Recreation at (518) 235-7761, or visit the Parks & Recreation homepage for more information. Located within Troy’s historic 247-acre Frear Park, the course is one of the crown jewels of the city’s recreational facilities. Originally designed as a nine-hole course which opened in 1931, the course was expanded to 18 holes in 1964, designed by Robert Trent Jones, one of the game’s greatest course architects. 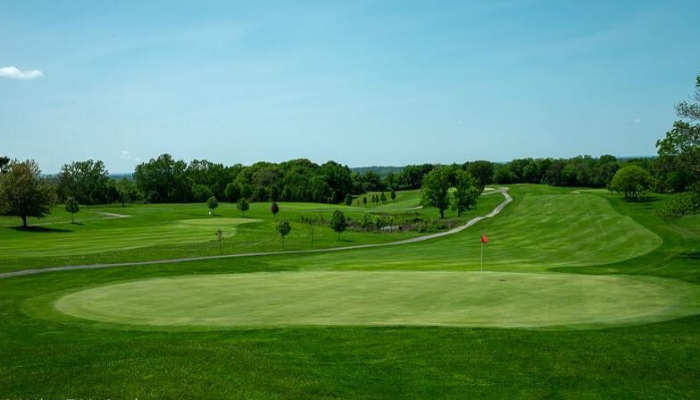 Enjoyed by thousands of players each year, Frear Park remains a great attraction for local golfers, with twenty-seven established leagues and over 46,000 rounds of golf played annually.